Two levels of free covered parking are nearby. 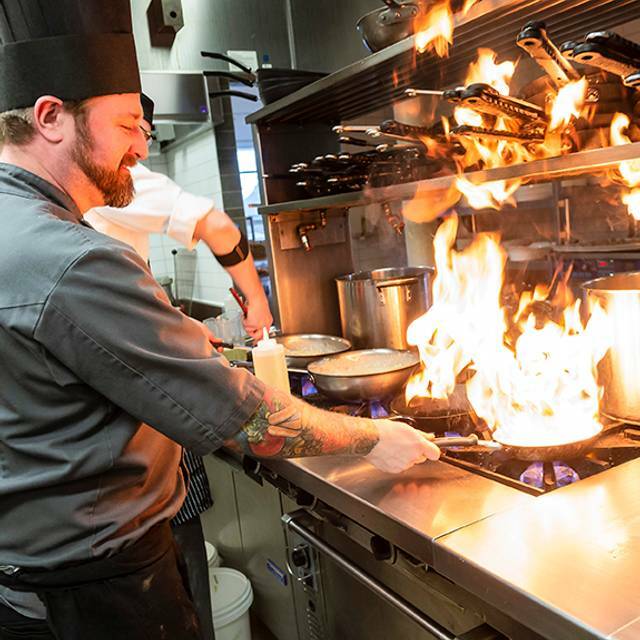 Our à la carte restaurant is an inspiring dimension in dining. Fresh. Seasonal. Creative. These are the signatures you'll find in every dish. 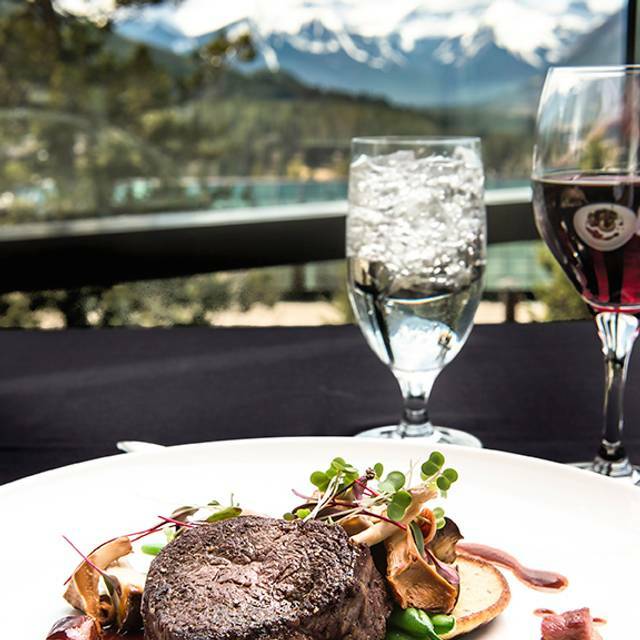 The restaurant has one of the finest views of any dining facility in the Bow Valley. 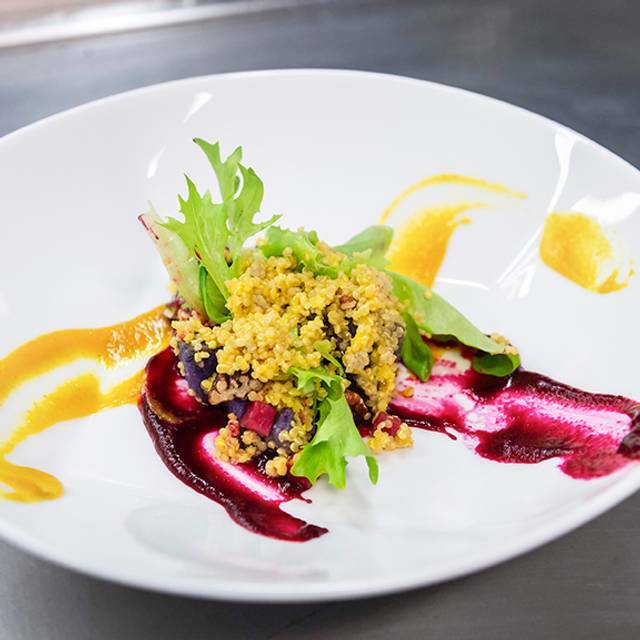 Within a few steps of all meeting spaces, events and accommodation at Banff Centre for Arts and Creativity, the Three Ravens offers a convenient and creative venue for your evening dining experience. 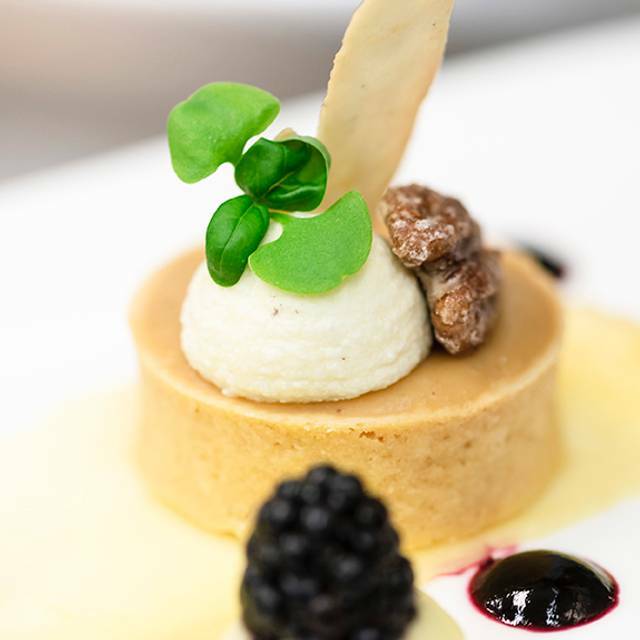 Enjoy divine dining in support of the arts! 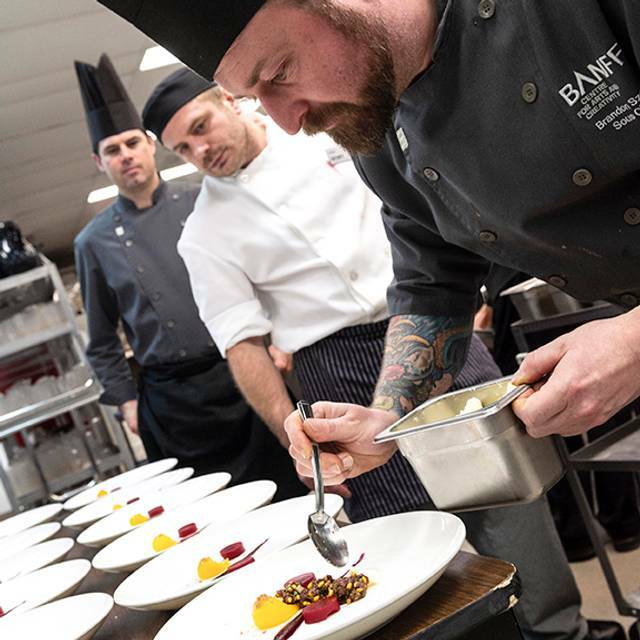 Proceeds from Banff Centre's food and beverage sales help fund our arts programs and scholarships. Consuming raw or undercooked meats, seafood, shellfish or eggs may increase your risk of foodborne illness, especially if you have certain medical conditions. *Nut free. Excellent food, and AMAZING service. We had the lamb shoulder appetizer, bison and elk entrees. All were phenomenal! Will definitely be coming back! Food was exquisite... really imaginative and great value. Setting is beautiful. Cocktails fantastic.. wonderful! Thanks so much. So glad you enjoyed your visit! Truly amazing food - creative use of flavours and outstanding combinations. View is the best in the area. Only comment is the ambiance of the room is lacking - it’s a large open space but luckily you’re looking at your date or the mountains. Spectacular is an overused word, but it more than fits the experience of dining in this remarkable setting with food so carefully prepared and presented, with a few nice surprise touch - the flavored butters and pate served with a bun, and the small cup of mushroom & beet broth we were invited to sip between appetizers and the main course. The food was finely crafted, not ordinary fare. Organic and locally sourced food is given priority. A delightful evening that motivated us to return on the last night of our stay, and to feel equally delighted by the experience - and the wonderful food! It took a while to find but it was worth it! The view from this restaurant is amazing. They are very small and only have a few tables but our service was excellent and the food was delicious. I loved the Malbec we had with dinner and the short precise menu had all winners. Definitely a spot for a special occasion and my date wwho is American was super floored and impressed. 10/10 would recommend! Thank you so much for your review. We're trilled you enjoyed your visit to Three Ravens. The view was fantastic but the restaurant was so hot due to solar gain and no air movement that we had to leave early. The menu was interesting but the piece of meat I received was almost all fat. The service was good and he worked to accommodate our son. Outstanding! Both my husband and I had the Bison tenderloin and it was by far one of the best meals of our life. Everything was beautiful with a fantastic view, and exceptional service. Highly recommend! Food, Staff and view were exceptional! The Grilled Angus Reserve Beef Tenderloin was superb! Grilled to perfection, combined with parsnip and mustard jus - wow! My waitress was very attentive, giving enough time to enjoy the appetizer and meal without rushing. Unfortunately I did not have room for dessert, however I am planning on a second visit in a couple of weeks and will definitely indulge then! The noise level did rise as the evening progressed and the restaurant started to fill up, I did not find this impacted my overall experience. Beautiful location and views. Creative menu. Good and a little pricey but supports Banff Center for Performing Arts and Artists. One of the most amazing views from a restaurant anywhere! The food and service are excellent though the prices are a little high. When it's a special meal and I'm in Banff, it's a must! 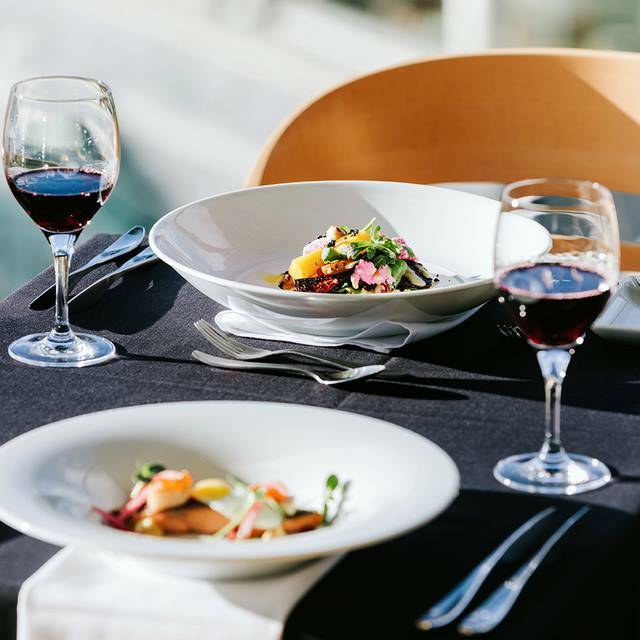 Spectacular views , superb service and an delicious meal. A perfect romantic evening. Nice view. Great service. Excellent meal. Bachlorette ! Great fun staff - loved the drinks. Super pricey - was expecting more tapas. Bear on the menu freaked me out but they catered to all my personal vegan needs. 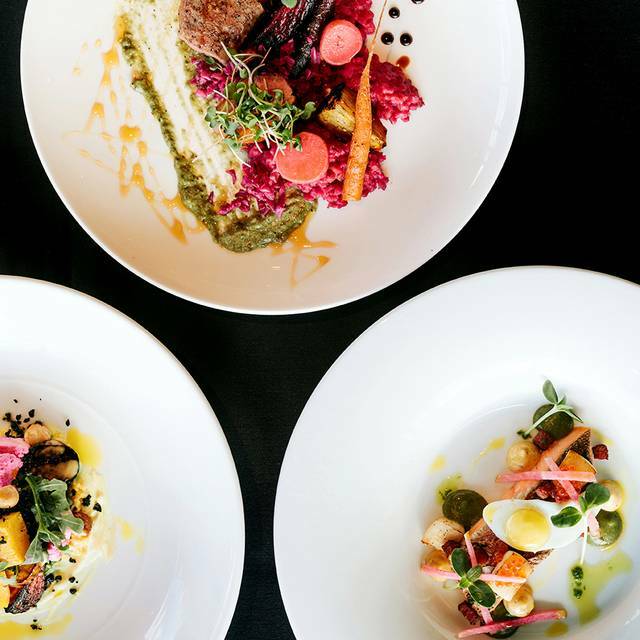 This place is located in a super modern art center, very pleasant decor, outstanding service, starting from the host and continuing with the waiter and great food. Views on the mountains. I would definitely recommend it if you are in banff. People were dressed very nice.Try their peach cider also! This is one of those restaurants that you have a hard time deciding what to order! Everything is delicious and the service fantastic. Go on the early side in the winter so you can take in the spectacular mountain views! A little hard to find, so give yourself extra time to get there. Three Ravens is a fantastic dining experience, that I would definitely recommend. 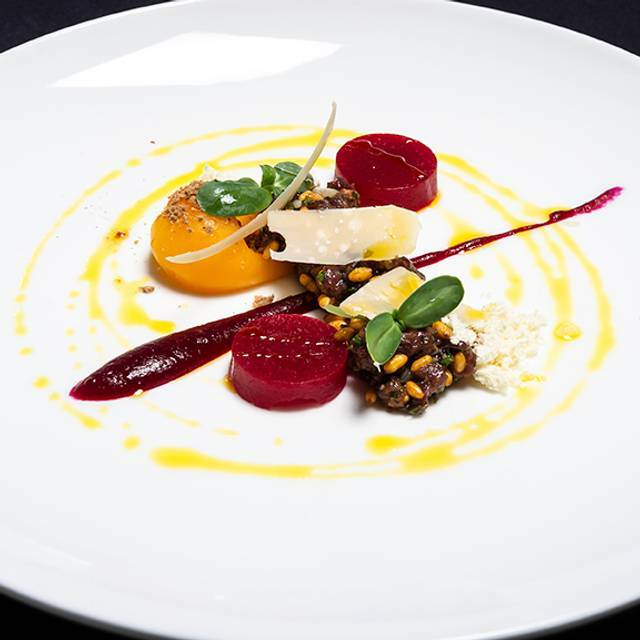 The food is unique, fresh, delicious, and beautifully prepared and presented. 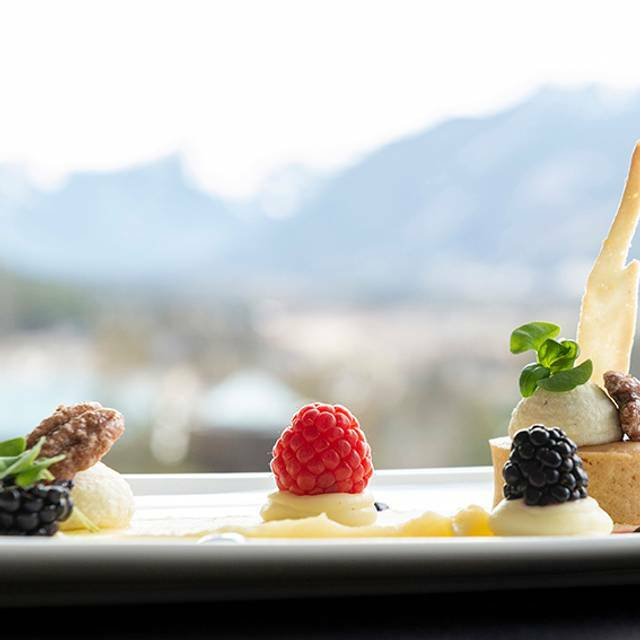 Wait staff is attentive throughout the time at the restaurant, knowledgeable about the menu and food, they are conversational and had many excellent suggestions - both regarding the menu and also generally about Banff. Overall enjoyable! Each of the dishes we had were amazing both in terms of presentation and taste. Our waitress was lovely but considering this is a “wine bar”, we were expecting the staff to be more knowledgeable about the wine selections/pairings. The restaurant is within an arts campus and adjacent to the student dining area, so the atmosphere was nice but different from what we expected. During the day, the view would be incredible. Meals were a disappointment. Under cooked and cold. Thank you so much for letting us know about your visit to Three Ravens. We're sorry to hear your visit didn't meet expectations and we'll to pass on your feedback. The chef made a fabulous plate design, the combination of taste is amazing. The vegateble and food material are fresh. The after-dinner coffee is good as well. Excellent food. Nice ambiance. Great views. Top notch cocktails. One the best dinners I’ve had. The pureed califlour with Elk was great. Server was as very friendly. The special “Elk Loin” was terrible and the server recommended it and said you could it with a spoon which was far from the case. The Bidon tenderloin was good. Would go back again. We had eloped the day before, spending an entire day shooting photos in epic fun places. This dining experience was equally epic! One of the best meals we’ve ever had hands down. The food was absolutely outstanding, the flavors complex, fresh and distinctive - and they looked as good as they tasted. Sarah was our server, she and the chef were terrific and made the evening very special for us. Everything was very good and we will happily go again. Service was attentive but not intrusive. A LOVELY MEAL WITH WARM FRIENDLY SERVICE. Enjoyed the quiet atmosphere and spectacular view. My compliments to the chef on my sturgeon dish. Superb! We have eaten at Three Ravens on a number of occasions. The overall quality of the experience is consistently high. The greeting is friendly, the serving staff are engaging without being intrusive, and the food variety, quality and presentation are excellent. Well deserving of repeat visits. THE FOOD AND SERVICE WAS VERY GOOD. THE AMBIANCE WAS COLD AND STARK. IT LACKS WARMTH WHICH SIGNIFICANTLY AFFECTS THE OVERALL EXPERIENCE. We were there for the New Years Eve dinner and it was amazing! Our waiter was friendly and attentive, huge wine list to choose from, and the 6 course meal was fantastic. The portion sizes were perfect and there was enough choices that allowed one to choose something a little more adventurous if they wanted. All in all, we had a great time and will be back on our next Banff trip. Very innovative, great service, super friendly and knowledgeable staff. The food and service were great. However I was expecting a cozy, upscale restaurant with a great view. Even though there were only a couple other tables in the restaurant, the restaurant shared a space with a cafeteria I.e. 100’s of people talking, dishes clinking, unnecessary noise. Second, the restaurant sells itself on the view which during the day may be nice but at night due to sharing the space and the high beam lighting the only view from the windows you will see is your reflection. Food & Service great. Ambiance & atmosphere not worth the price at all. The appetizers were pretty bad. My meal, the beef tenderloin, was good but my husband's duck was horrible. I would not recommend this restaurant. Three is us enjoyed Christmas dinner at the Three Ravens. Excellent food (Beef Tenderloin and Elk) and the complimentary eggnog drink was the best eggnog any of us had ever had. The service was outstanding. My only disappointment was the ambience. It’s a little stark and the view to the cafeteria area isn’t very appealing. In the summer you’d be able to enjoy the mountain view which I’m sure is outstanding.